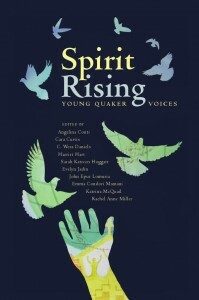 Harriet Hart is one of the editors of Spirit Rising, an anthology of Quaker youth ministry. She talked to Nayler about the book and her own experience of being involved in the project. You’re one of the editors of the Spirit Rising. What is it and why should people read it? Spirit Rising is an anthology of writing and visual art produced by young Friends from all over the world and from the different traditions of Quakerism. It is a project of the group, Quakers Uniting in Publications (QUIP) and was put together by ten young editors hailing from diverse traditions and geographic locations. There are many reasons why people should read it and it is not for young people alone. It speaks of people’s faith, of their experiences of Quakerism, and of how their culture affects their faith. It both celebrates and challenges the reader, requiring them to listen deeply and compassionately. It prompts conversation and pause for thought. It holds a wealth of experiences from Evangelical Friends to Liberals. It is a collage and a symphony of dischord. How did you get the book together? 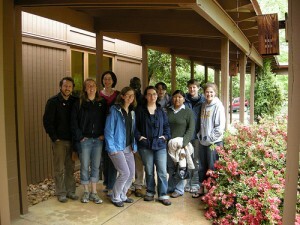 Over all the editorial board had three meetings. The first was to envision what the book was to be. We came up with a number of writing prompts and queries to encourage responses that would setttle around a theme. After that meeting we all set out to garner submissions. For me that was mainly done through the computer, though I did run a coouple of workshops too. For John, in kenya, and Emma, in Bolivia, it was far more active, they actually got on buses to seek out groups of young Quakers and took their handwritten pieces home with them. Our next meeting was spent going through deciding what would go in and what would not, we also spent time working out our own conflicts and grouping the pieces into chapters. The last time we were all together was to launch the book in the States. We had a cake with the cover of the book printed on it and everything! Why is it important to have a book of just young people – doesn’t everyone have equal value in Quakerism? Yes, everybody does have equal value within Quakerism, however, bringing the voices together of those who are so often in a minority empowers them and makes them more likely to be heard. It also demonstrates how young people may be interested in celebrating our differences as Quakers where older Friends may not. It is a reminder of that equality – even young People can speak their truth, this book gives them the forum to do so. It must have been quite a serious project, did you have laughs together too? It was serious, but yes, we laughed a lot! At our second meeting we stayed on the coast of Oregon, in our breaks we all ran out onto the beach and flew kites and went paddling in the ocean. It was great fun. How had you changed as an individual from your experience as an editor? 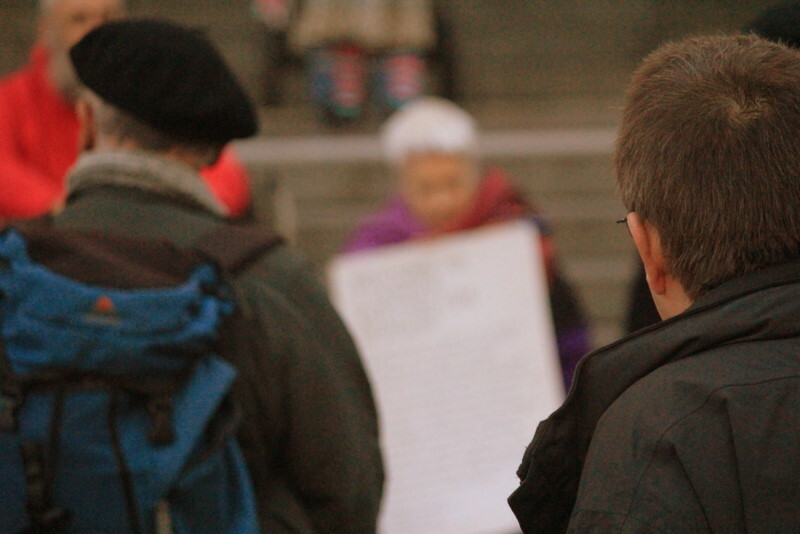 I am increasingly passionate about the world family of Friends and the connections we make as Quakers across the world. I think we have a lot to learn from our diversity and that we need to practice celebrating it, sharing it, and listening more compassionately to one another. I would like to see Britain Yearly Meeting enlivened, inspired, and challenged by other forms of Quakerism. It is my hope that this book will spark conversations among Friends around the world, helping us to discover more about one another and come into a deeper relationship with that of God in everyone. On Tuesday 21/06/2011 at the Quaker Centre, Friends House, 173 Euston Road, London NW1 2BJ, Harriet Hart will speak about her experience as one of ten international editorial board members of Spirit Rising, telling the story of the book and sharing extracts from the diverse contributions. Please register for a free place at www.quaker.org.uk/spiritrising if you plan to come.